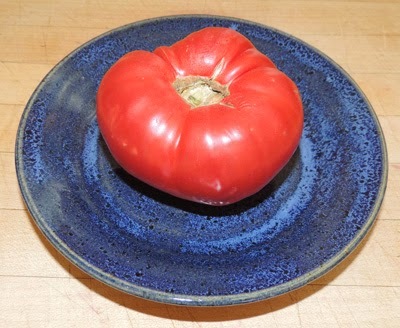 Oma bought the delicious organic tomato in the photo above from the Jimbo’s Naturally store. Tomatoes are easy to add to your daily diet. Slice them for sandwiches, toss them in salads, cook them into sauces or squeeze them for juice. Packed with vitamins A and C, calcium, potassium, and lycopene; tomatoes are both delicious and good for you. Interesting Facts: Botanically speaking, a tomato is a fruit. However, the government classified it as a vegetable in the late 1800s so it could be taxed under custom regulations. New Jersey calls the tomato its state vegetable. Arkansas uses tomatoes as both the state fruit and the state vegetable.